Svensson, G. P., N. Skals and C. Lofsted (2003) Disruption of the odour-mediated mating behavior of Plodia interpunctella using high-frequency sound. 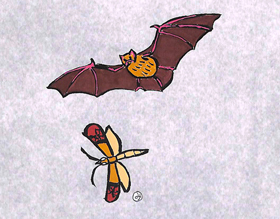 Entomological Experimentalis et Applicata. 106: 187-192. Huang, F., B. Subramanyam and R. Taylor (2003) Ultrasound affects spermatophore, larval numbers, and larval weight of Plodia interpunctella (Hubner) (Lepidoptera: Pyralidae). Journal of Stored Products Research. 39: 412-422. 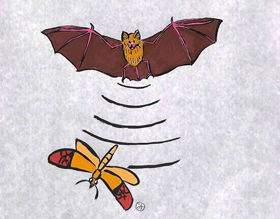 Svensson, G. P., C. Lofsted and N. Skals (2007) Listening in pheromone plumes: Disruption of olfactory-guided mate attraction in a moth by a bat-like ultrasound. 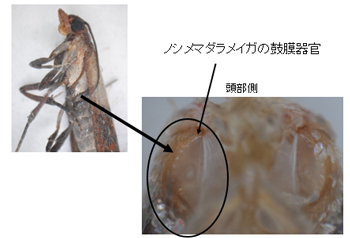 Journal of Insect Science. 7: Article 59.